The PGA Tour’s Florida swing headed north this week for the 19th edition of the Valspar Championship at the Innisbrook Golf Resort’s Copperhead course in Palm Harbor, Fla.
How did the players handle the course’s infamous snake pit on Thursday? Here’s everything you missed from Round 1. Dahmen and Straka shared the honor of posting the round of the day with scores of five-under-par 66. Dahmen carded six birdies and a lone bogey while Straka’s card was pristine, with five birdies and no bogeys. Both Dahmen and Straka are seeking their maiden PGA Tour victories this week. 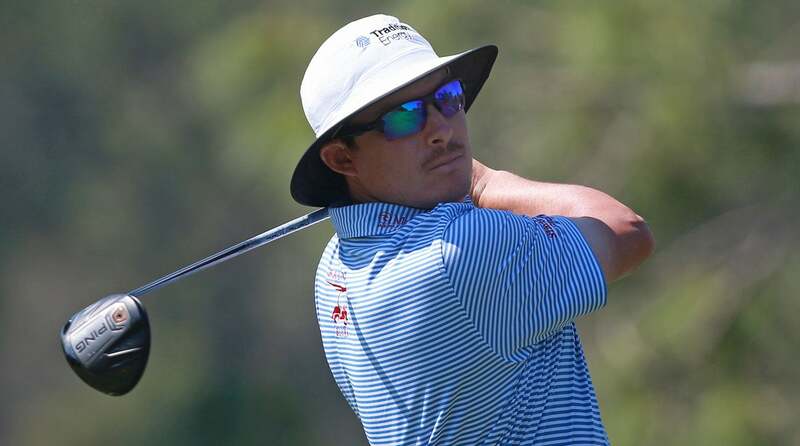 Yet another similarity: they both had their best finishes of the season at the Farmers Insurance Open, where Dahmen finished T9 and Straka was T13. Joel Dahmen is seeking his first PGA Tour victory this week. Johnson had a relatively quiet first round, with four birdies and two bogeys. The world No. 1 is currently T11 — three shot behind the leaders. This year marks only the third time in his career that DJ has played the Valspar. He missed the cut back in 2008 and 2010. Knox, a 33-year-old Scotsman, had a historic moment on the Copperhead course on Thursday. On the 573-yard par-5 11th hole, Knox had 275 yards left to the pin for his second shot from the right side of the fairway. He elected to go with a 3-wood, and … he holed it! Knox’s 2 on a par 5 marked the first albatross in the Valspar Championship’s 19-year history. Knox made three more birdies after the albatross to shoot four-under-par 67, which is currently T3. If your back has been killing you out on the range, take a page from Sergio Garcia’s playbook and stop bending over to tee up your ball. Works like a charm! See below. Hey, maybe Garcia’s on to something. He did only shoot even par on Thursday, but no doubt his back felt great.